Step inside St Agatha’s Catholic Church, a few yards from The Cascades and the much larger Catholic Cathedral, and you’ll discover rare beauty. The art adorning the inner walls is as bold and breathtaking as anything you might find in Italy. Yet on a cold Monday evening, the most beautiful sight I saw was not art, but heart. 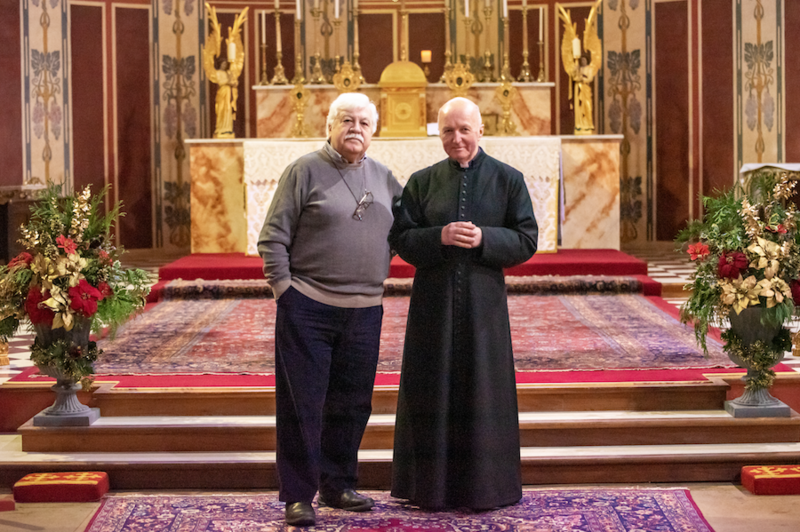 It was Hot Food Monday – a weekly initiative, established and run by volunteers including the church’s own Father John Maunder, to provide sustenance for the growing number of people in Portsmouth who have no home. In the 10 months since starting, the team had served over 1,500 hot meals. Everyone gets three courses – a soup, usually made by volunteer Billy, followed by a main course that’s typically donated by a local restaurant, and dessert made by volunteers from the church. The first Hot Food Monday attracted 24 homeless people from the community. That number rose rapidly as word spread. Today, the team usually caters for around 45, including regulars and first time visitors. The range of restaurants donating has grown too. Volunteer Leo Ciccarone, a businessman originally from Italy, has reached out to Italian restaurants and across the Bangladeshi community, who run many of Portsmouth’s Indian restaurants. As for the team itself, it’s a mix including churchgoers, and current and former councillors drawn from across party lines. You could volunteer yourself. The main things you need are time and willingness to help once a week, or whenever you can. He believes Portsmouth has “a real serious issue” with homelessness. There are even problems with the services available to help people off the streets, as excellent as they are. For example, homeless people with pets or who are in a relationship face a shortage of accommodation options to fit their circumstances. The choice can come down to the streets versus separation, and faced with those options, the streets often win. Ultimately, he believes a long-term solution to the homelessness crisis must involve changes of policy – from reversing recent changes in how housing benefit is paid, to investing in new and existing social housing stock. His mantra? Build more, build better and – vital on our crowded island city – build upwards. For now, the Hot Food Mondays volunteers have built something crucial.